Want Tin Can Knits at your event? Alexa and Emily are occationally available to teach or sign books at events, and we also have a travelling trunk show that you can book for your LYS. Check out our course offerings, and send us an email to discuss what type of class would work best at your event. Our design seminars are intended for intermediate to advanced knitters curious about the knit design process. Depending on schedule, these seminars can be a single session, or 2-3 sessions over 1 or 2 days or evenings. 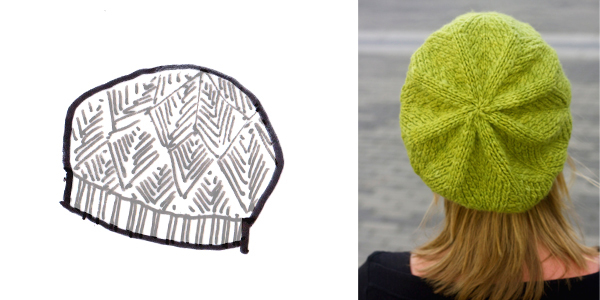 All the basics of knit design can be explored in the design of a hat. We will look at various construction methods, investigate decreases, and consider how these apply to working with lace, cable, or colourwork designs. This workshop is perfect for intermediate to advanced knitters who want to explore design and pattern writing. Can be run as a single 3-hour session, or over 2-3 sessions. Charts are crucial to much of knit design. Learn how to create charts from text knitting instructions, how to adjust the scale of lace or cable, or colourwork motifs, and how to create charts for shaping within lace. Can be run as a single 3-hour session, or over 2-3 sessions. Emily reveals her process for lace design, from initial concept to the final charts. Armed with stitch dictionaries, graph paper, a calculator, and some lovely yarn, get started designing your own triangular lace shawl. This workshop is perfect for knitters comfortable working lace who want to explore design. Two or three 2-3 hour sessions. Our project-based courses are a popular and effective way to guide knitters as they gain skills and create beautiful hand-knits. 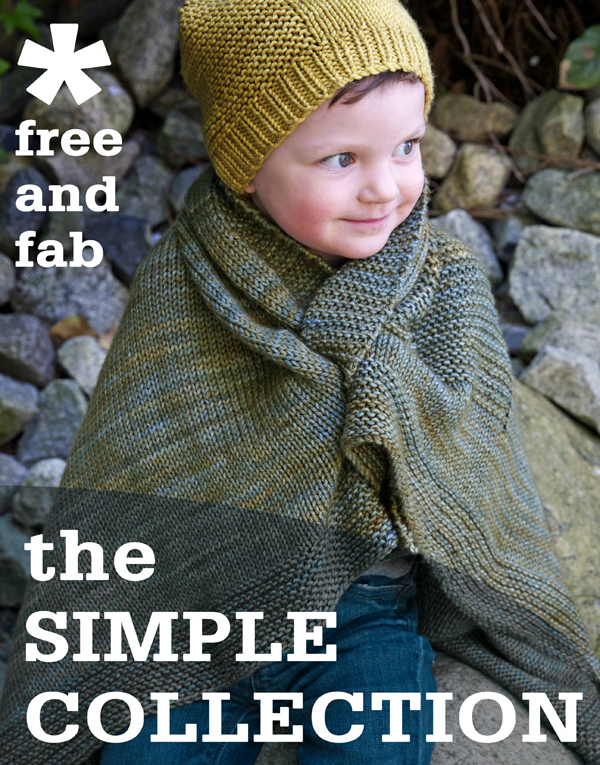 Using the Wheat Scarf, Barley Hat or Oats Cowl from The Simple Collection (our free learn-to-knit series), students learn all the basics of casting on, knitting, purling, knitting in the round, decreasing, and reading a knitting pattern. Class length flexible. Using a bulkier lace pattern like the Gothic Lace Scarf, False Creek Cowl, or the Whitecaps Hat, knitters learn basic lace stitches, chart reading, and blocking. One or two 2-3 hour sessions recommended. 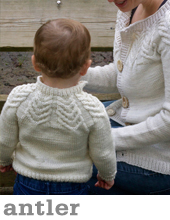 Using a	simple pattern like the Gramps Cardigan, Antler Cardigan, Lush Cardigan or Flax Pullover, this course takes knitters through all the techniques required to make a seamless sweater from the top down or the bottom up. Shaping, cables, picking up stitches, and blocking are covered. We suggest knitters make a baby or child size first, so they can complete the project during the course. Four 2-hour sessions. Using the Sunflower, Photosynthesis, Branching Out or Rosebud Shawls, this couse covers more advanced lace knitting, including the garter tab cast-on, reading lace charts, troubleshooting, adding beads, and blocking your finished shawl. Four 2-hour sessions. 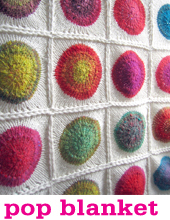 Using the POP blanket or Vivid Blanket pattern, knitters learn all the skills necessary to make a beautiful patchwork blanket including the pinhole cast-on, and short-rows or lace chart reading, blocking and seaming. One 3-hour session. 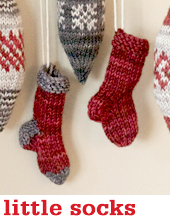 Using the Little Socks pattern, knitters learn all the skills applicable to top-down sock construction, by knitting a tiny sock ornament. Knitting in the round on dpns (or using the magic loop method), working a heel flap and short row heel, picking up stitches for the gusset, gusset shaping, and toe decreases. One 3-hour session. Using the Lumberjack Socks pattern, knitters learn to knit in the round on dpns, turn a heel, kitchener stitch. Three 2-hour sessions.